Considering the addition of digital signs to your retail space? You're in good company. 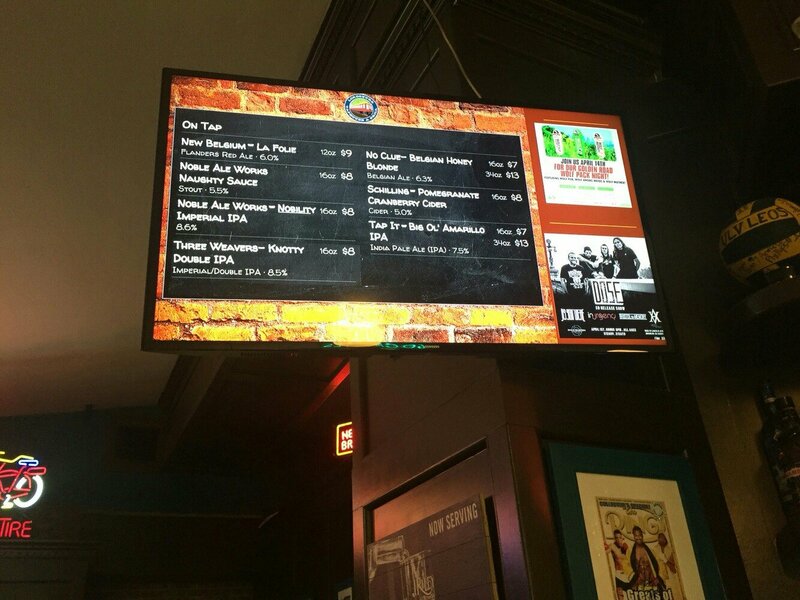 An increasing number of banks, retailers, malls, hotels, museums, sports stadiums, universities, airports and other public areas are doing exactly that – taking advantage of the dropping prices and attractive advantages of digital signage to add their inexplicable "Wow" factor to walls and marketing strategies nationwide. 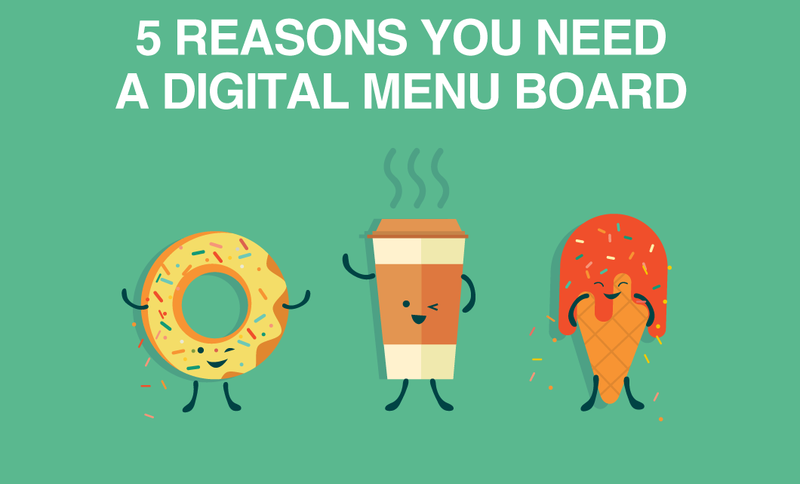 Digital signage for retail is something that business owners just can't ignore! The past decade has seen sales of digital display hardware, software, and services in North America completely skyrocket. The digital signage industry is expected to reach USD 27.34 Billion by 2022, at a growth rate of 6.7% between 2016 and 2022. Clearly, the writing on the wall is increasingly digital. 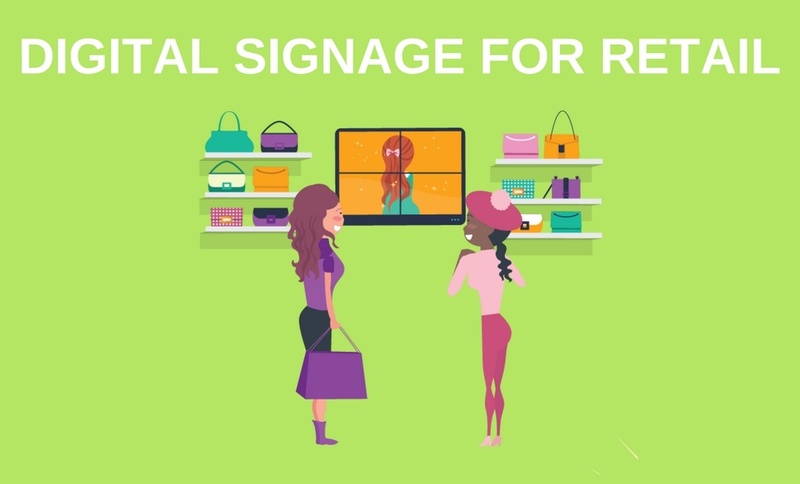 If you're considering the purchase of digital signage for your retail space for the first time, you probably have plenty of questions, and perhaps some lingering reservations as well. The prices may be lower than ever, but it's still not a trivial investment, and there seem to be so many options and components to consider. How do you choose the right signage, the right software, the right data, the right vendor? How do you even know what all the pieces of the puzzle are, and how to put them all together? And how do you know if it will truly meet your communication needs? As with any venture into new media, the best place to start is with that last question: what exactly are your communication needs? Before you consider the details and the technology, identify your audience and your desired messages to that audience. Once that's clear, it's much easier to determine what type of signage technology and content will best meet those needs. The nice thing about this new medium is that you can also allow yourself to dream a little. 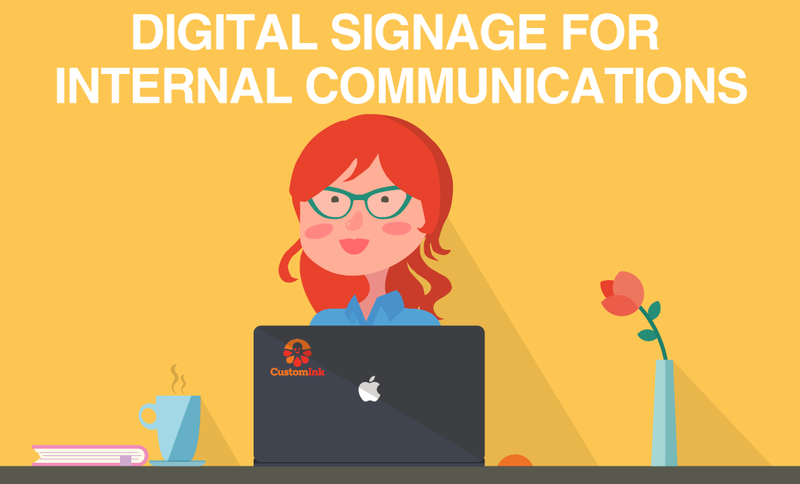 Unlike static media (posters, bulletin boards, printed signs), digital displays let you communicate in ways that probably were not available to you before. Each industry has its own unique mix of reasons for choosing electronic displays, but some are common to all industries and venues. After all, LCD and Plasma screens are attractive high-tech devices that lend themselves equally well to informing, entertaining, and selling. Like televisions, their glowing screens turn heads and capture attention in almost any public place. Unlike television, the content on their screens is endlessly flexible, limited only by the tools, the data sources and the imagination at your disposal. 1. Digital signs in retail stores and shop help inform and educate. Digital signs are excellent teaching tools because unlike static media, they can use and combine text, graphics, sounds and animation to introduce and illustrate concepts more effectively than traditional signs or bulletin boards. 2. Digital Signage content is rich. Before the digital revolution, huge budgets were required if a business wanted to add video, animation and live data to its marketing arsenal. Today, an electronic display can easily and economically show live data, custom-made motion, photography, videos, audio and Internet content. 3. Their content is fully customizable. In television we speak of "broadcasting"; in the electronic display market, the popular term is "narrowcasting", because the content of a digital sign can be completely tailored and sent to a very specific target audience. This allows you to communicate directly to your customers with the right message, at the right time. 4. They can combine both shared and local content. Often, marketers need to send a mix of both national and local information to each of several locations. A well-equipped display network will allow you to narrowcast screens that contain some information that is seen by all, and some that is specific to each branch or region of your network. 5. Digital signage is more eye-catching and memorable than static media. If you've ever walked past a television or digital sign in a public setting, you know from personal experience that it's hard to resist looking at the screen. There's something about the combination of glowing lights and moving content that always draws the eye. A 1999 & 2001 joint study by KPMG (now BearingPoint), Indiana University and Point of Purchasing Advertising International (POPAI) found that we are 5-10 times more likely to notice dynamic than static media, and 2-5 times more likely to recall its message. 6. Digital signs can reduce perceived wait times. A strategically placed electronic display, conveying appropriate and informative content, can help your members pass the time while they wait in line to talk to your staff. According to a series of Bank of America studies, people who stand in line for more than three minutes often start to overestimate their actual wait times significantly. But when televisions showing CNN were installed in a test location, the degree of overestimation of wait times dropped from 32% to 15%. 7. They have the versatility to inform, entertain or sell. Communication needs often vary, and static messaging tends to be more limited in its capabilities – great for informing, but not very captivating when the intent is also to influence or to entertain. By contrast, digital signs can employ all the tools and techniques available to both television and the Internet to captivate and engage the viewer in ways that are much more versatile. 8. They enhance branding and image. Digital signs not only disseminate information, they also reflect well on the establishment that employs them. Electronic messaging imparts a "high-tech" look to your retail location that shows your visitors that your business is modern and up to date. This brand strengthening can contribute to increased sales, membership enrollment, and customer retention. 9. They offer a potential source of advertising revenue. The content of a digital display typically rotates through a series of different screens. In addition to presenting your own messages, you can also show paid ads on your displays. This is attractive if you're looking for ways to increase your revenue and bring other products or services to the attention of your visitors. It's also a great option if you partner with other retail spaces that are complimentary to yours. Like any other medium, an electronic sign is ultimately only as useful as the messages that it conveys. As television has too often demonstrated, the dazzling nature of even the most high-tech communication tool cannot compensate for a paucity of interesting, useful content. But in the case of retail stores, where information is abundant and efforts to educate and inform are a constant part of your business' daily activities, digital signs can offer many powerful new tools and advantages to communicators. If you need something eye-catching to attract more attention, a large format LCD display with the proper content will help you stand out from your competition.